Printed material is used to communicate important information and as a catalyst for change. The ability to reproduce something has been essential in the dissemination of knowledge and ideas. But, is print still relevant in the digital age? This show will include work from Bury Art Museum’s collection and also contemporary printmakers. We are seeking artists working in print on the theme of social commentary and change to be included in the exhibition Print: A Catalyst for Social Change. Artists will be notified of acceptance by email on 16 January 2019. All selected work needs to be delivered to Bury Art Museum by 26 January 2019. The delivery and collection of work is the responsibility of the artist. New Courses for the New Year! 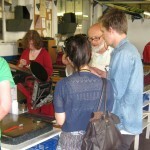 Hot Bed Press Winter/Spring courses are now live on the website! 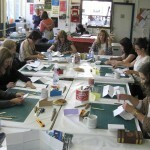 fantastic programme of courses, bringing guest tutors in alongside our popular in-house tutors, offering new and intriguing courses, such as textile Screenprint, Animated Letterpress, Thermofax, and Photo-Litho plus some popular favourites with Introduction to Screenprint, Expanded Etching, Wondrous Woodcut and Hard-Back Books. We are also bringing drawing to the fore with a 6 week Drawing course to enhance the mark-making skills to bring to print. Hot Bed Press Gift Vouchers for Christmas! You can buy a Gift Voucher for any amount that can be used against pretty much anything we sell, from courses to materials, hours to membership. Simply call the workshop on 0161 743 3111 to buy a voucher and we’ll get it in the post to you. Last printing day before Christmas is Fri 21st December, so don’t leave it too late to get yours. We’re really pleased to announce that we will once again be exhibiting work at this year’s Manchester Art Fair (formerly Buy Art Fair) which will be held for the second year at Manchester Central (Formerly GMEX) and run from the Friday 12th to the Sunday 14th October. If you are a Hot Bed Press member wishing to submit, there is just a £10 sumbission fee to get work in the browser and £30 if your work is selected to be shown on the wall. We are now open for submissions and all information is at the workshop. Submissions close on Friday 5th October at 5pm. No work submitted after this date will be considered. If you would like to come see the show you can apply for free tickets at the Manchester Art Fair website and we are Stand 435. We will also be giving print demonstrations over the weekend so come say hi! 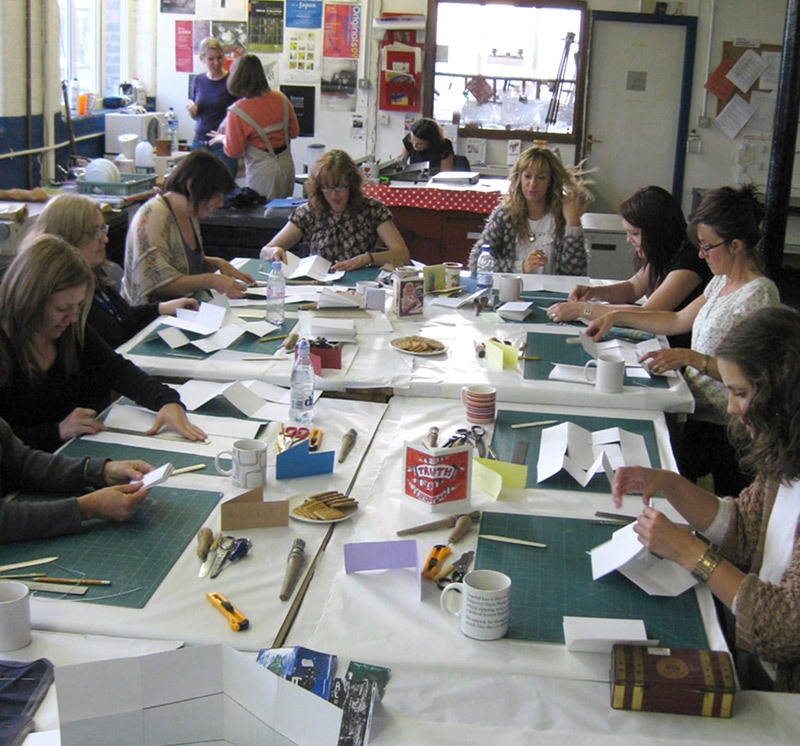 We’re onto this year’s 20:20 Print Exchange and the workshop is starting to buzz with activity so don’t miss out! Get yourself signed up for this year’s exchange. It’s just £10’s to take part and it’s such a great opportunity to be part of a touring exhibition to add to your CV. This year the 20:20 2017 exhibition toured a number of studios including Neo, West Yorkshire Print Workshop, Highland Print Studio, The Art House and even travelled as far as Hong Kong! This year we have workshops signed up from as far afield as Iceland, Moscow and there’s even a Print Workshop from Colorado trying to get numbers together for the exchange. Fingers crossed. It’s going to be great so don’t miss out and get yourself signed up. Just £10 payable over the phone, or at the workshop to secure your place. We are now open for bookings for 2019’s Complete Printmaker course which runs from February – December 2019. The morning slots booked up in record time, but we still have places available on the evening sessions from 6pm – 9pm. 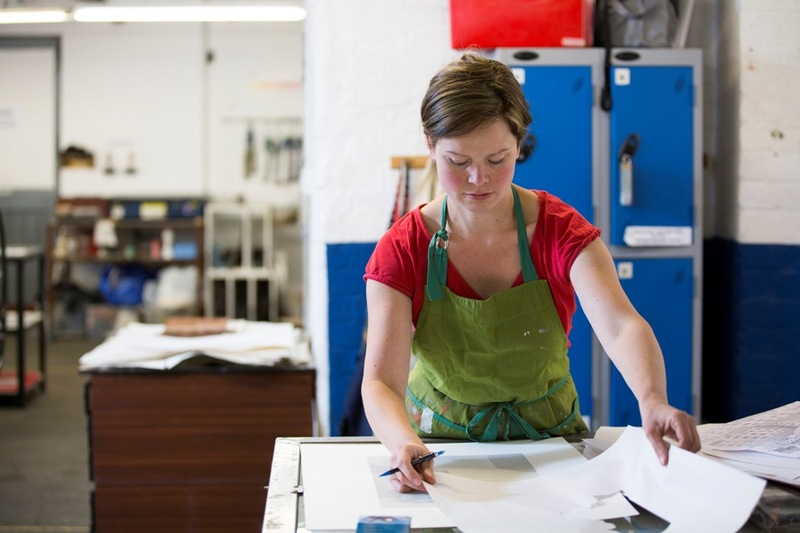 The Complete Printmaker is tutored on Monday mornings from 10.00am to 1.00pm or Monday evenings from 6pm – 9pm with additional hours available through to 5.00pm on Mondays when there will be a dedicated Technician on-hand. The practical make-up of the course will be married up with contextual background and content driven assessment. It will give a good understanding of printmaking and will be the equivalent experience to a traditional fine art first year degree in print. Students will be supported through development of a portfolio and focused body of work. Comprehensive notes and instruction worksheets will be provided. These are sent out after each process is taught to serve as supporting notes and reminders to enable further independent development through each process. Extra reading material and other sources of inspiration will also be given. In addition to the 3 hours a week taught sessions each student can take up an extra 4 hours a week free of charge, [60 hours a term), with Technician support available during open access. Students can also take up as many hours as they wish over and above the 4 hours a week self-directed practice by purchasing a Studio Hours card for just £3.00 an hour, (sold in 6 hour cards). 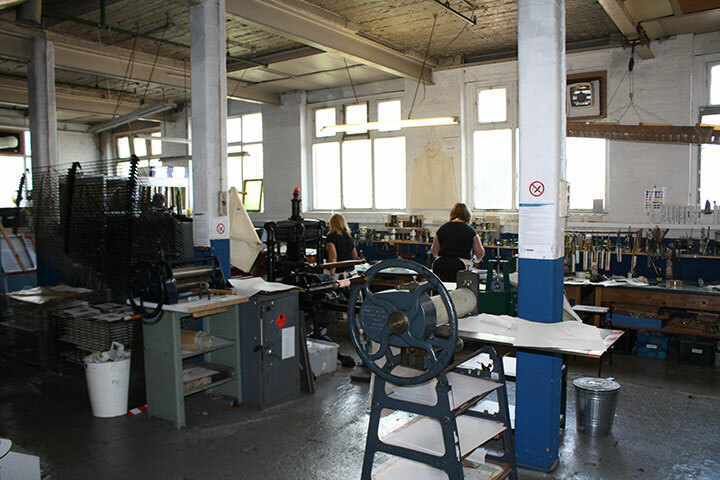 You are also given a year’s membership of Hot Bed Press running up to 31st January 2020. To secure your place we require a £300 deposit. Please call Andy on 0161 743 3111 to book your place on this very popular course. Hot Bed Press in partnership with Salford Museum & Art Gallery, Salford Community Leisure and University of Salford Art Collection, supported by Arts Council England, are pleased to announce a major new printmaking exhibition taking place from May to September 2018. The exhibition will involve new work by 4 artists. There will be 2 new commissions selected from submissions with a further 2 commissioned artists currently resident at Hot Bed Press’s Print Lab studios, [Lubna Ali and Claudia Alonso, who are supported through University of Salford Art Collection’s scholarship scheme]. We are inviting artists whose work challenges and questions perceived constricts and rules around printmaking; such as material, scale, authorship, craft and the concept of the limited edition. The resulting work will be exhibited at Salford Museum & Art Gallery from mid 2018, (dates to be announced ), in a specially created space within the gallery. There is also a budget for gallery installation, framing, hanging and presentation, as well as full marketing of the exhibition, supporting events and private view/launch. 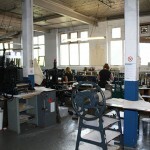 We are looking for two artists either from Hot Bed Press membership or via our networks of printmakers. Work should be dynamic, challenge the norms of printmaking and open up new dialogues & debates on the nature of print. The selection process will consider how the artists’ work will be installed together and how the work will engage audiences, inspire debate and challenge traditional perceptions of printmaking. Each artist will be given £1,500 fee including materials, plus free access to Hot Bed Press facilities and resources plus dedicated time in our new Print Lab professional studios, where needed. 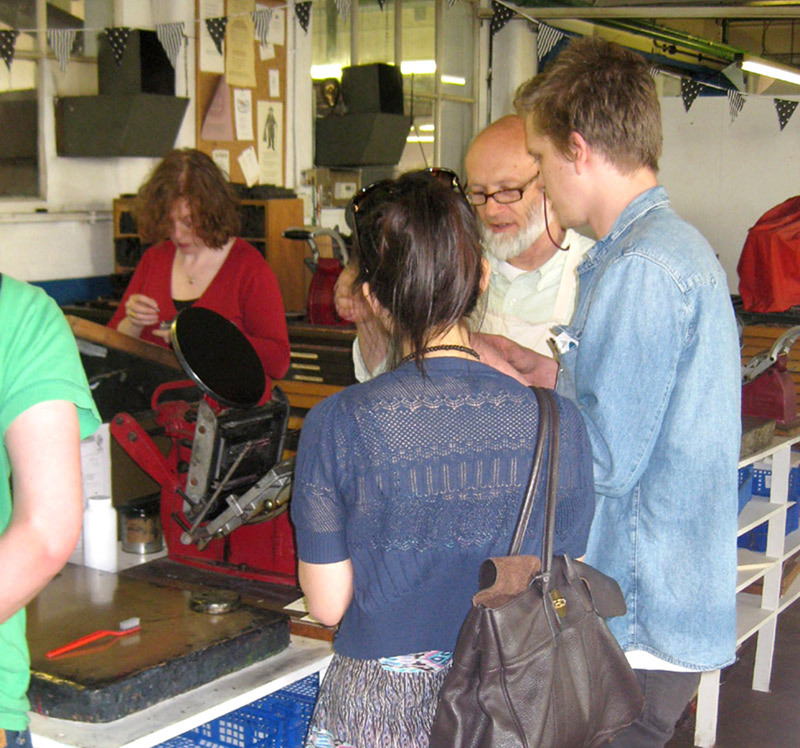 There will also be mentoring and technical support tailored to suit the artists’ needs within Hot Bed Press. As part of the commission the selected artists are asked to gift artwork (or an element of the artwork) to the University of Salford Art Collection after the exhibition to be in the university’s permanent collection. Deadline for submissions is no later than 10.00am on Monday 26th February. Selection of the remaining two artists, to join the University of Salford scholars; Claudia and Lubna, is by a panel made up of Sean Rorke, Artistic Director of Hot Bed Press, Lindsay Taylor, Art Curator at University of Salford Art Collection and Amy Goodwin, Exhibitions Officer at Salford Museum & Art Gallery. The panel will meet on Thursday 1st March and applicants will be notified by 2nd March. The selected artists are expected to be available to dedicate enough time to research, develop and produce a new body work over the next few months leading up to the show, to be able to meet and collaborate with the other artists and the Director of Hot Bed Press to create a dynamic and thought-provoking exhibition of outstanding quality. Please send a description/explanation of the work you intend to make, outlining why you feel the work challenges the norms and expectations of printmaking. This should be no more than 500 words. Include your full contact details, your phone number, and any links to websites or social media that shows the nature of your work/artistic career. Please also include a current c.v. and up to 10 jpeg images of recent or past work. You may also wish to include drawings, sketches, digital images or photographs that illustrate the ideas for the work you intend to create for Print Unlimited. Please send all applications to sean@hotbedpress.org no later than 1.00pm Monday 26th February. Print Unlimited is a pilot project led by Salford Museum & Art Gallery & Salford Community Leisure in partnership with University of Salford Art Collection and Hot Bed Press. Highlighting the wealth of creativity in Salford it aims to engage new audiences, whilst celebrating and challenging contemporary printmaking. As well as the 4 new commissions there will also be a programme of workshops and talks at Salford Museum & Art Gallery. More details to be announced in the run up to the exhibition. The brief is open. The content of the work may be abstract, literal, political, social or none of the above. We do not know what the work will look like or how it will be made. Digital print could marry up with traditional printmaking, traditional printmaking maybe subverted. New ways of making prints may be utilised, machinery and processes not usually associated with printmaking taken advantage of and/or alternative materials investigated. The work may be collaborative, individual, multiple, singular, open ended or closed and can be of any scale. Themes may overlap between artists or may be widely divergent. The linking thread will be printmaking and radical thinking. With thanks to Arts Council England; Grants for The Arts and University of Salford Art Collection for supporting this project. Thanks also to Salford Museum & Art Gallery and Salford Community Leisure [and Hot Bed Press] for facilitating and making it happen. Time to book your place on this year’s 20:20 Print exchange. Just £10 to be part of our ever expanding annual print exchange! Pop into the workshop or feel free to call to book your place and set your goal to produce a beautiful edition of 25 prints which will go on to tour the country and be catalogued online forever! Deadline for submission of your prints is 1st of November, so don’t miss the boat!